Not only do we offer great selection, but we offer personal attention. We will help you find a frame that fits your look and lifestyle. Ready to change your look? 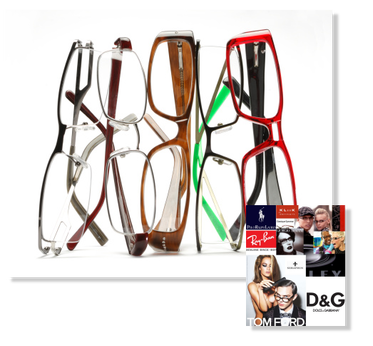 Choose from a Great Selection for Men and Women With over 1000 frames to choose from, deciding on only one frame might be difficult. Sunglasses & Frames From: Ed Hardy, Kenneth Cole, Gucci, Nike, Armani, Oakley, Kate Spade, Maui Jim, Polo Ralph Lauren, Hugo Boss, Cavalli, Vera Wang, Cynthia Rowley and more. Take up to 3 pair of frames home for a "second opinion" from friends and family. Need More Than One Pair? Prescription sunglasses, computer glasses, a "fun" pair, or just love glasses? Ask us about 2nd pair discounts.